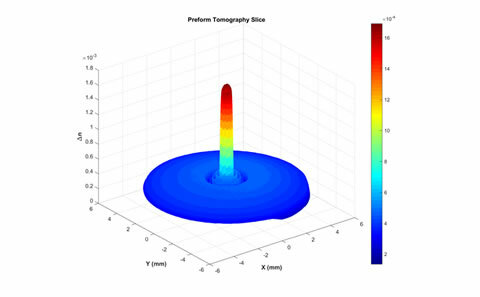 Optical fibre is at the heart of the Optoelectronics Research Centre’s history and research - In the Silica Fibre Fabrication group we are pushing the boundaries of what is possible in a strand of glass. The Silica Fibre Fabrication group, led by Prof. Jayanta Sahu, focuses on the research of novel silica-based fibres and the methods used to fabricate them. 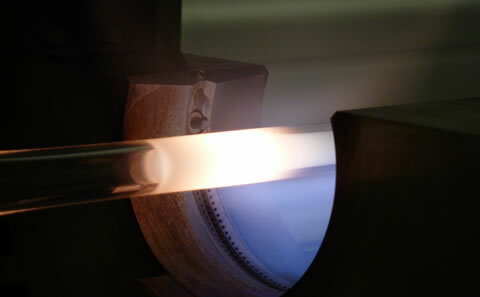 We strive to create the most advanced fibres for each photonics application, while simultaneously developing the next-generation of fibre fabrication techniques. As a critical technology that enables many research areas, our fibres are often developed in collaboration with other ORC research groups as well as in wider academic and industrial partnerships. 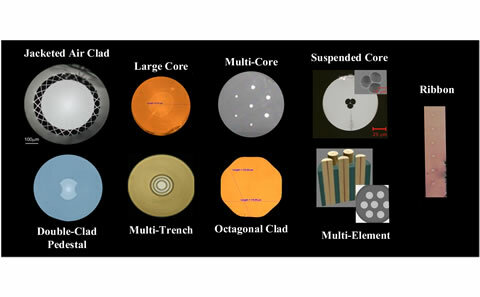 Our work encompasses all aspects of fibre fabrication, from the materials science and chemistry used to achieve a desired fibre composition, to the physics and engineering required to develop novel structures and fabrication techniques. 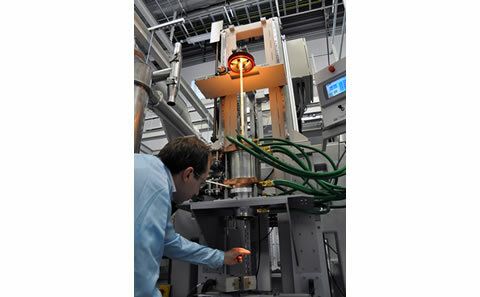 The ORC has a rich history of silica fibre research - much of the foundational work on key fibre fabrication processes, such as Modified Chemical Vapor Deposition (MCVD), solution doping, and fibre drawing, was done here at the University of Southampton. 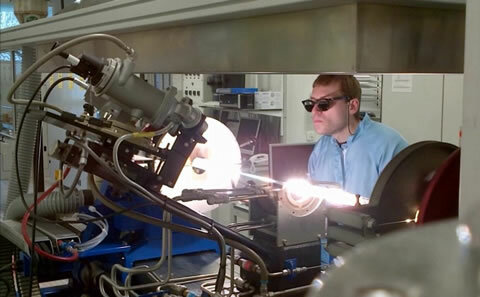 Our expertise in fabrication is the cornerstone of fibre based research at the ORC, and has led to many world’s first demonstrations – including the Erbium doped fibre amplifier and, most recently, key results in high-power fibre lasers, and optical communications. 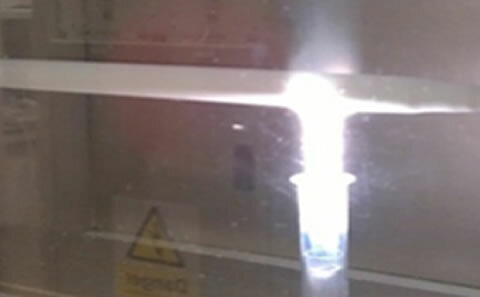 In addition to fundamental research on novel silica fibres, our work supports more than 100 other scientists within the ORC who are investigating applications of the unique fibres we create. Our success in crafting these innovative fibres has cultivated a multitude of external partnerships ranging from commercial supply of tailored specialty fibres to large-scale research contracts. 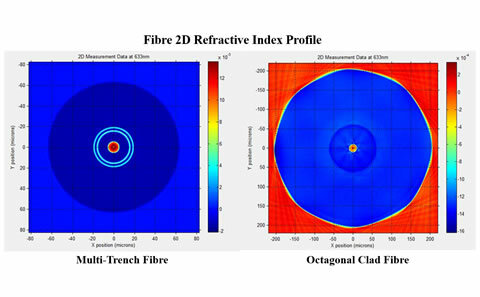 Having collaborated with more than a dozen industry partners and numerous university labs, we welcome the opportunity to work with new groups and new applications as we endeavour to push the limits of optical fibre capability. We always welcome new opportunities for collaboration. If you are interested in working with us, or you would like to find out more about our group, please contact Prof. Jayanta Sahu.